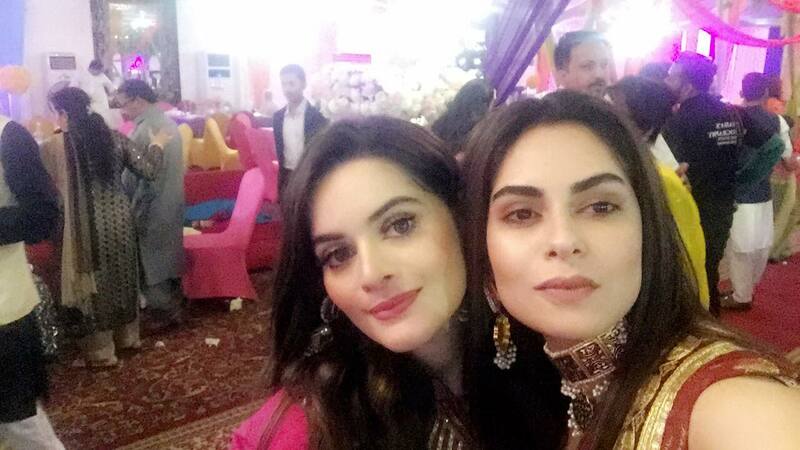 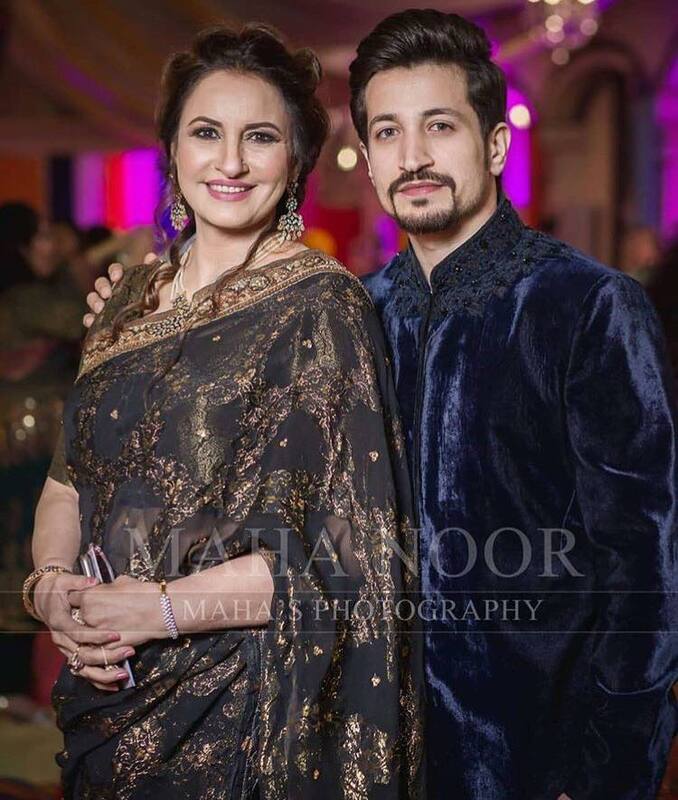 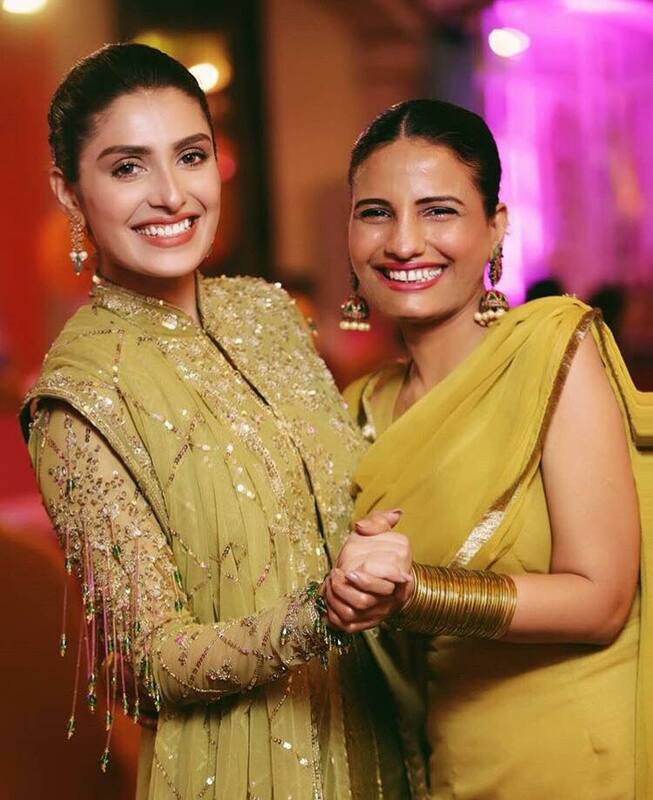 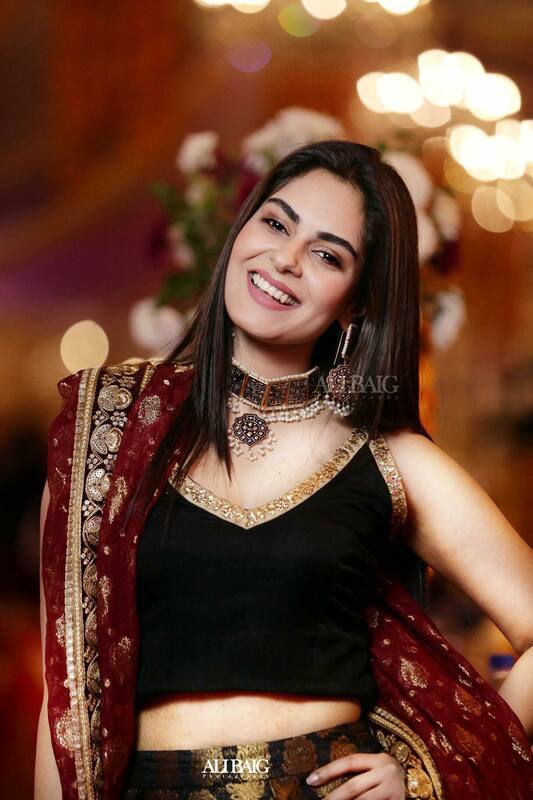 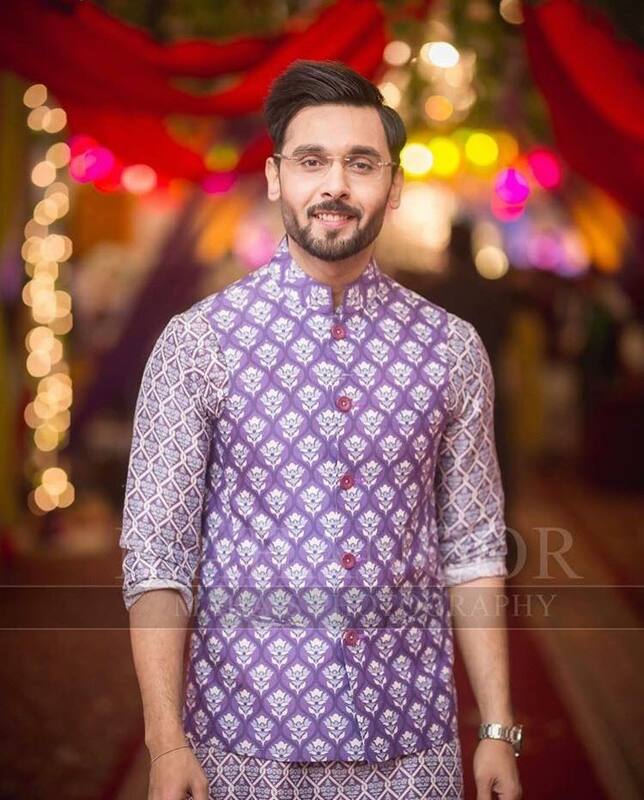 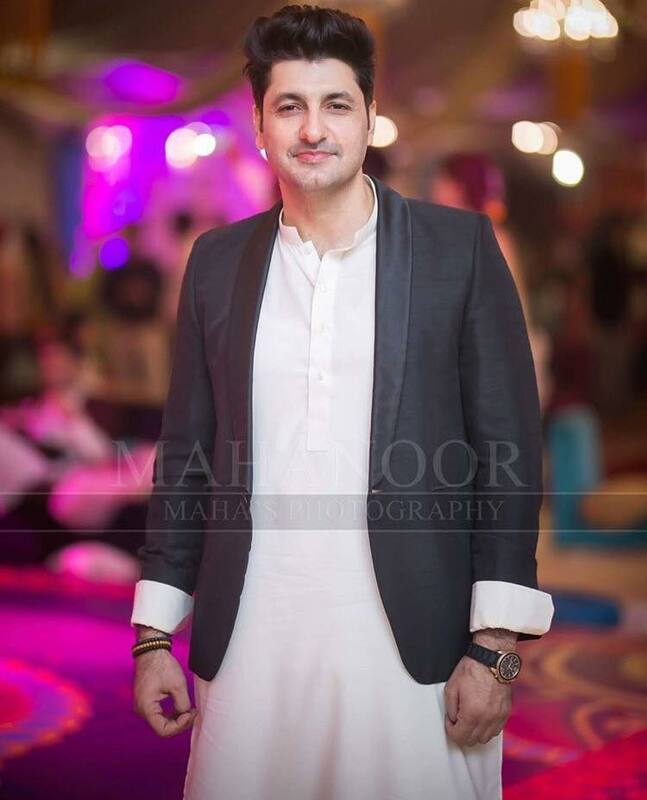 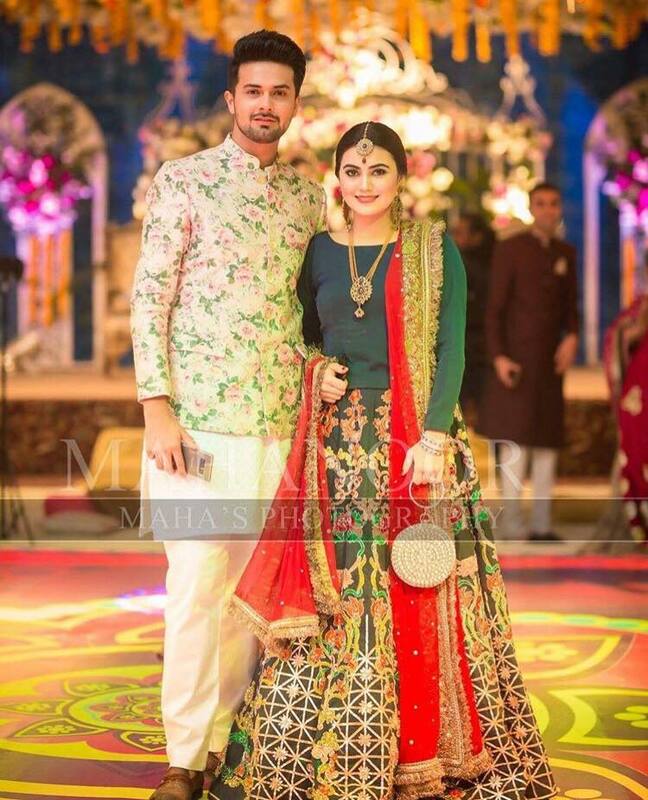 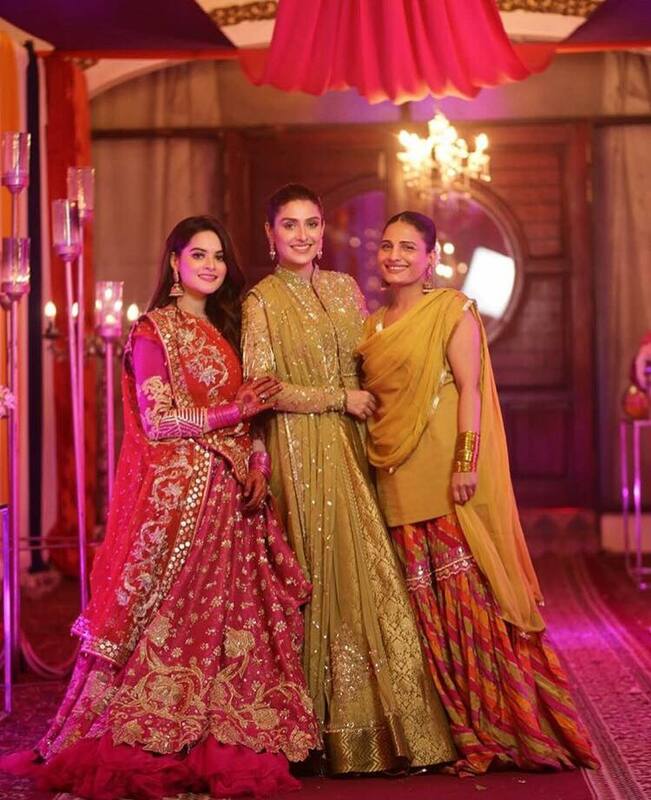 Aiman Khan’s Mehndi was held yesterday and many celebrities attended this grand function. 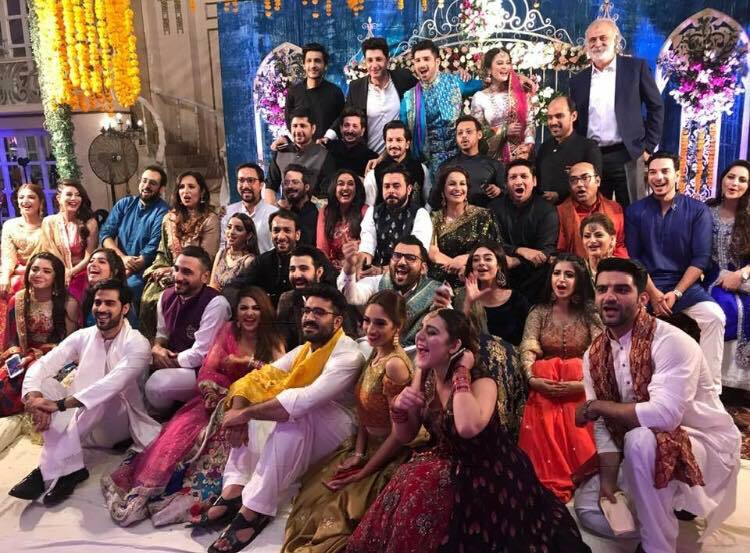 It was a star-studded affair, Aiman and Muneeb thoroughly enjoyed their special day with friends and family. 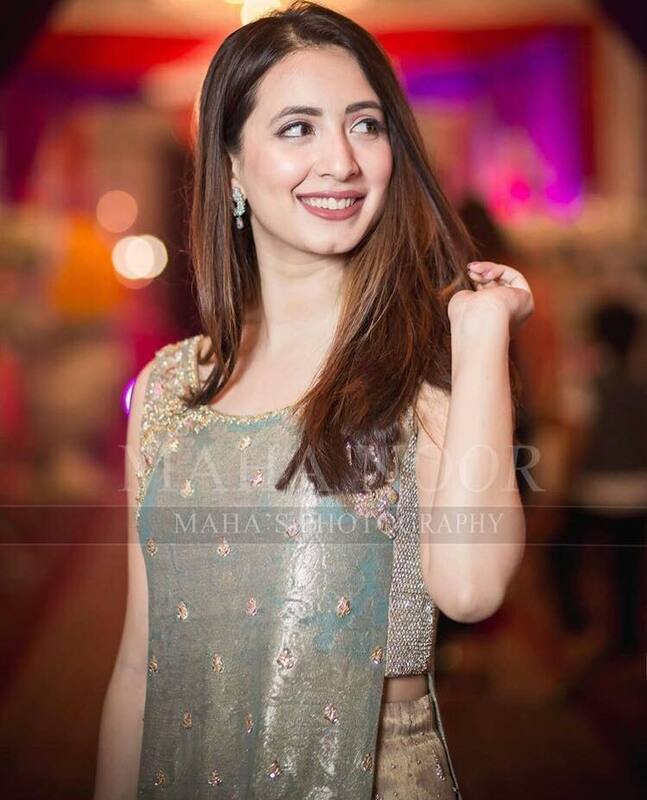 Minal Khan also danced to her heart’s content on the event. 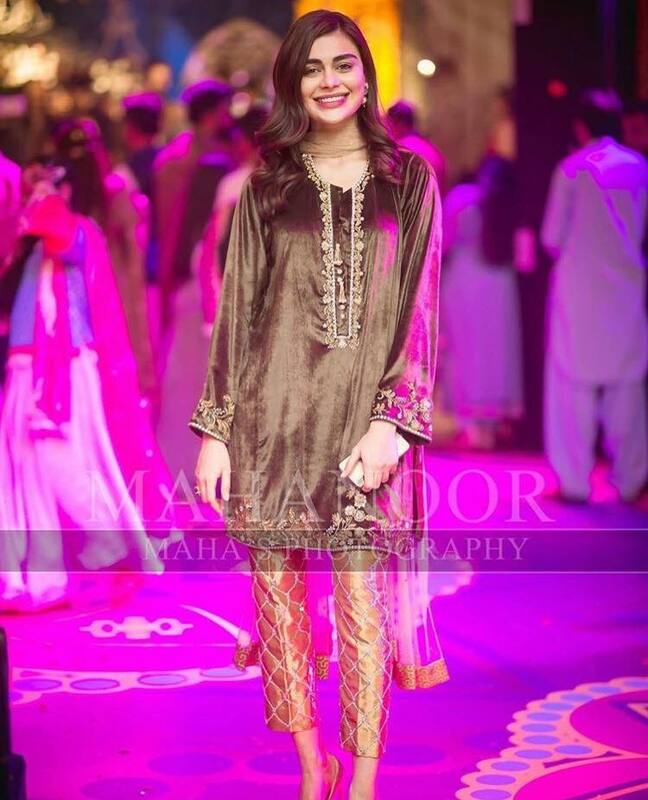 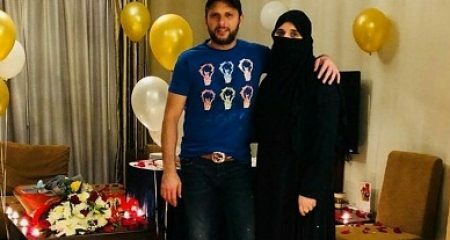 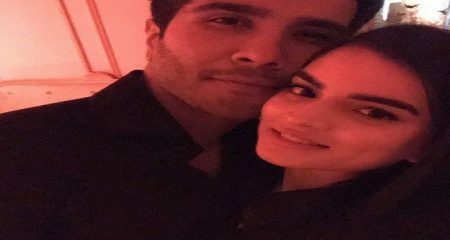 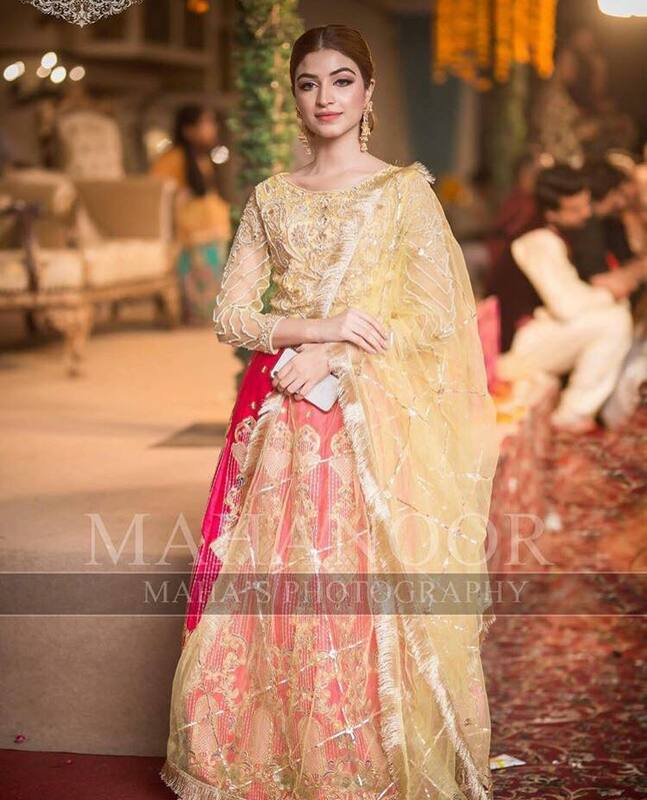 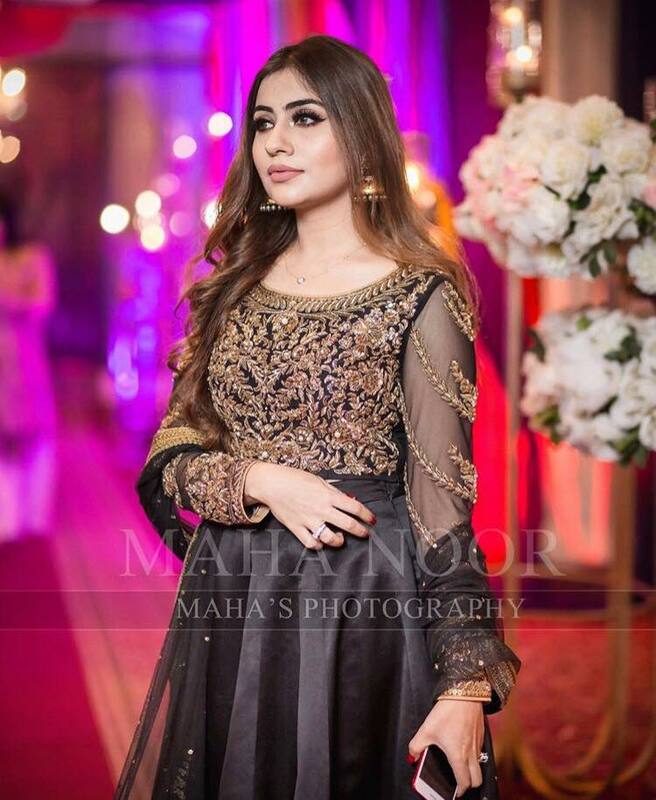 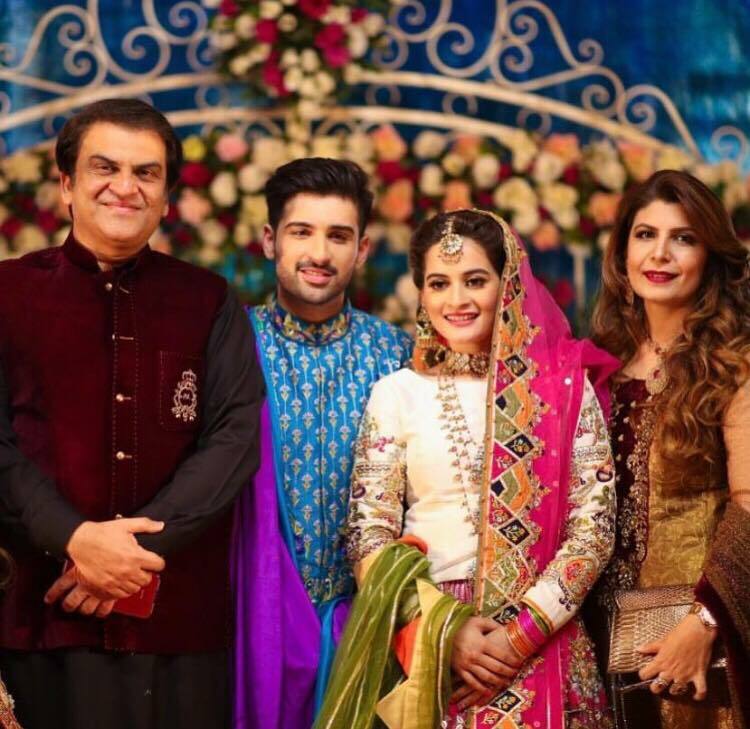 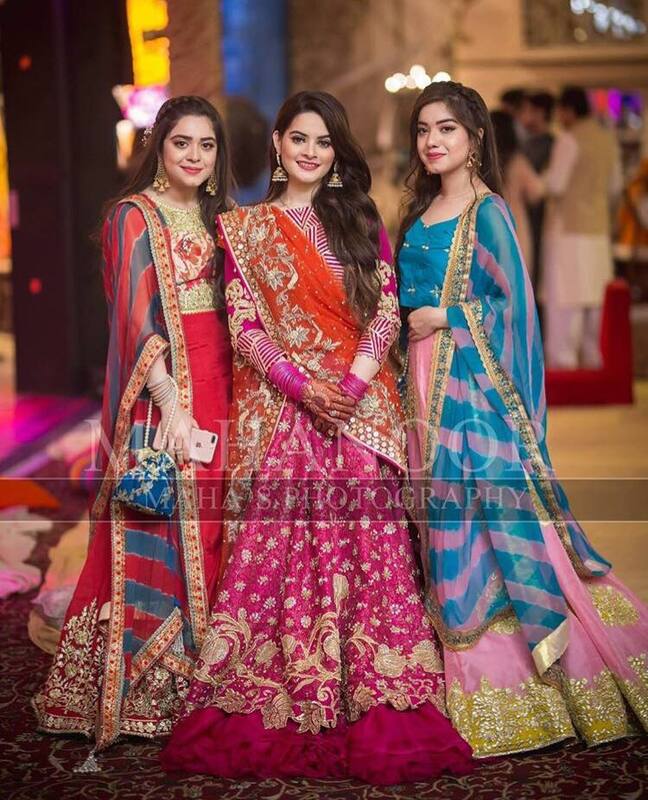 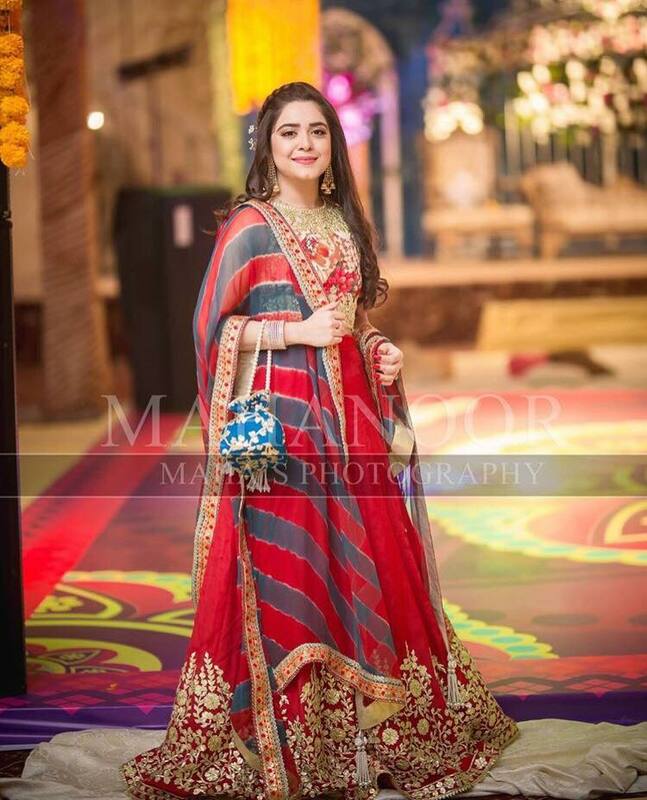 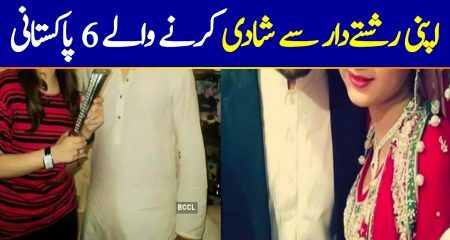 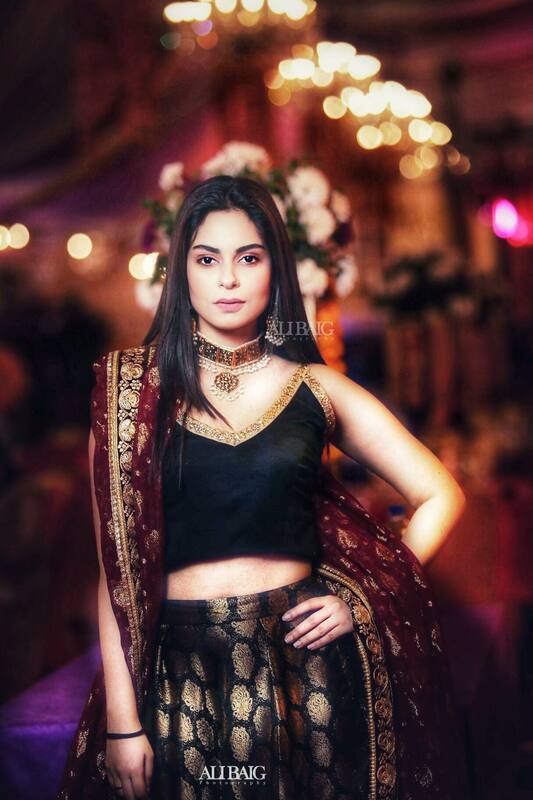 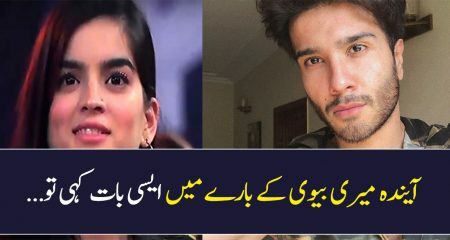 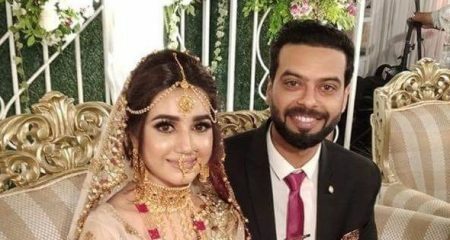 The entire event was organized well and the pictures have been circulating on the social media ever since Aiman Khan’s mehndi function started. 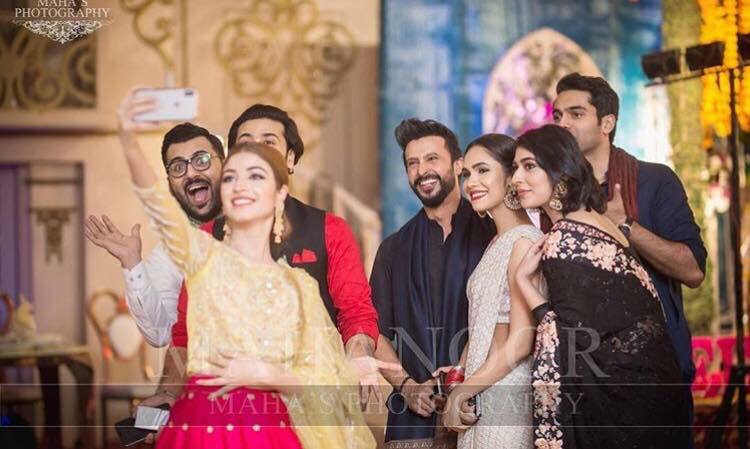 Now that all the pictures are out we know how many celebrities attended the event. 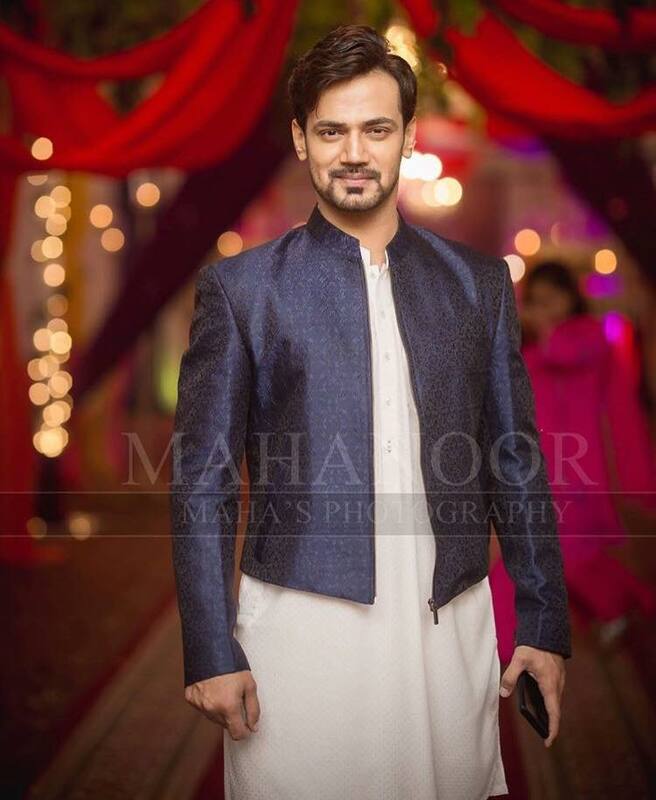 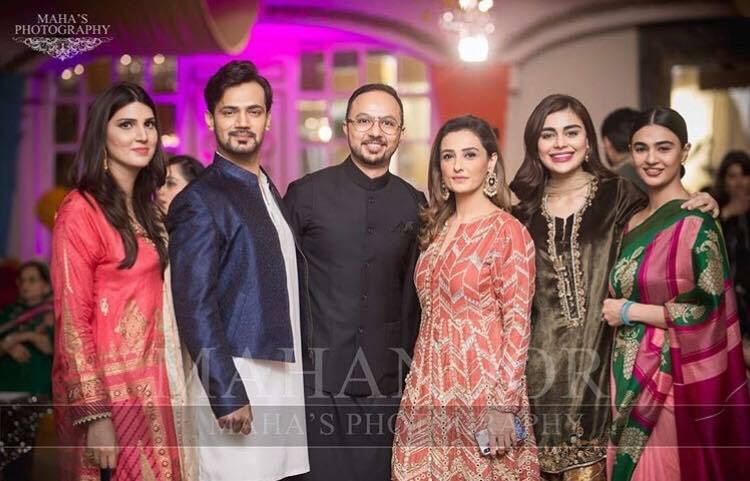 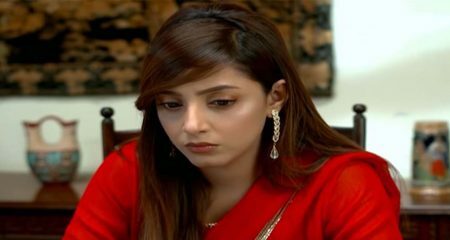 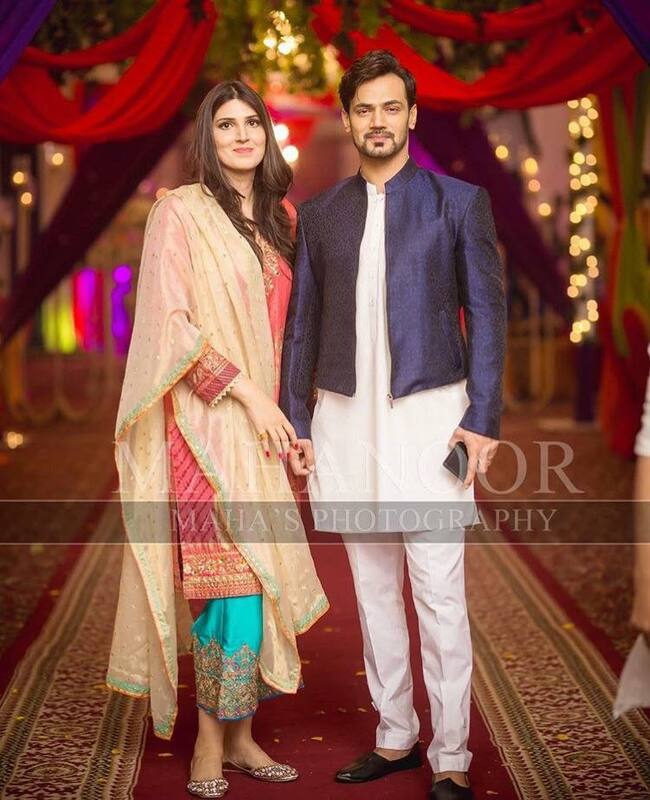 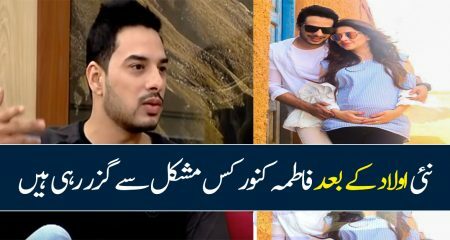 Zahid Ahmed and his wife were also present at the function. 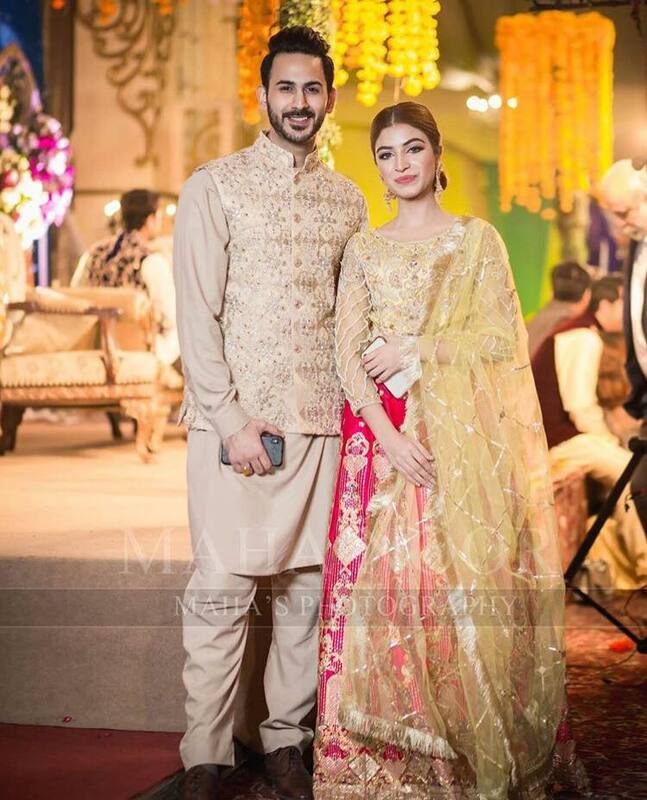 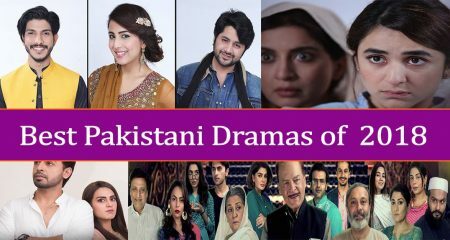 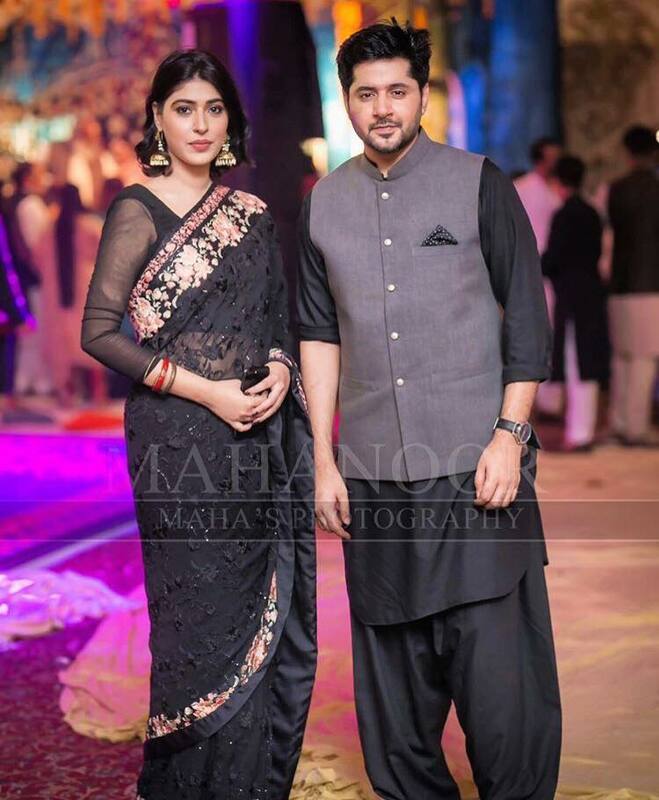 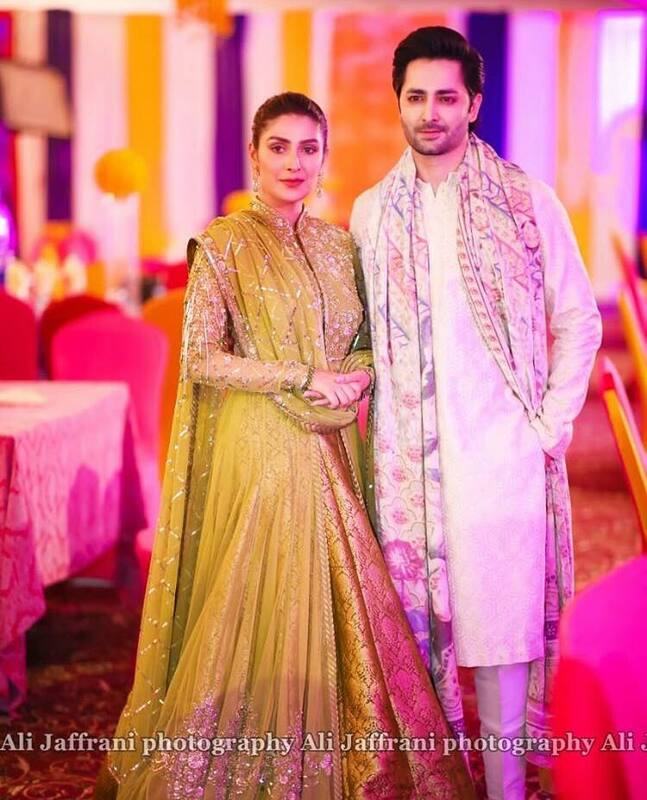 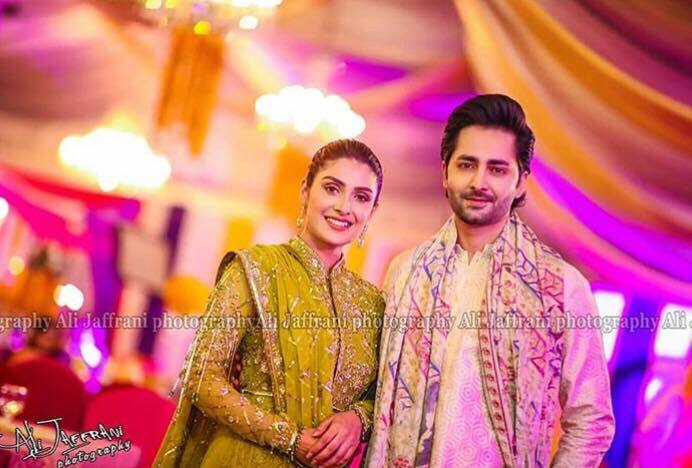 Ayeza Khan and Danish Taimoor looked as perfect as ever. 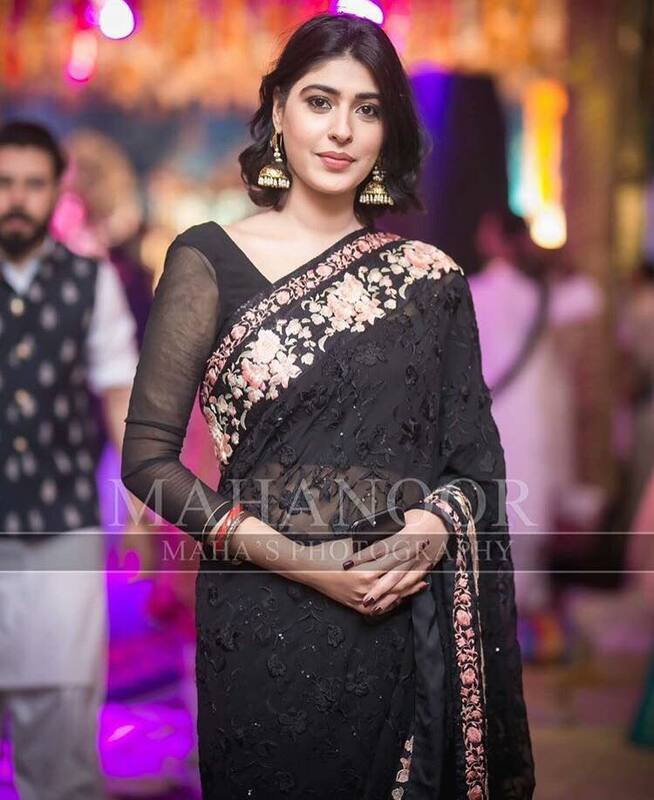 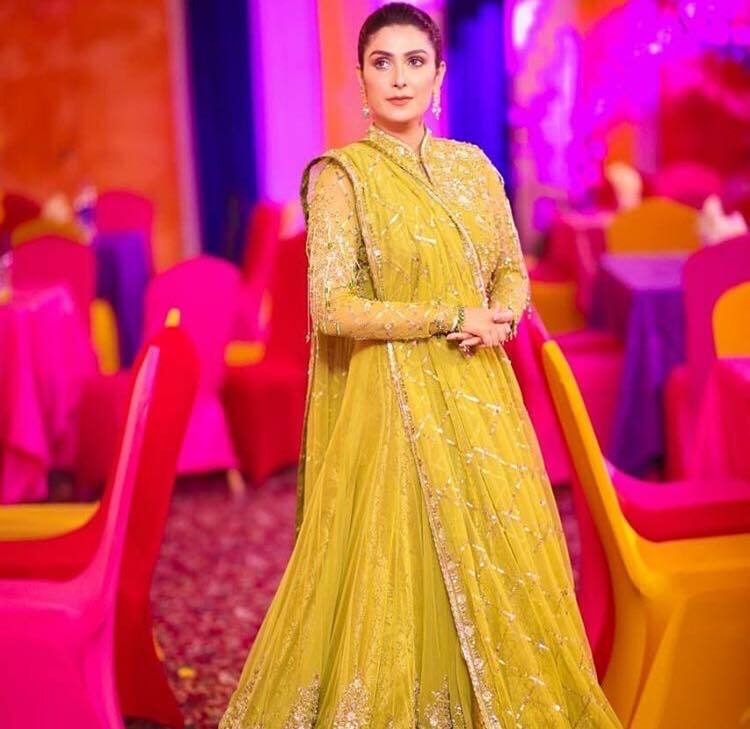 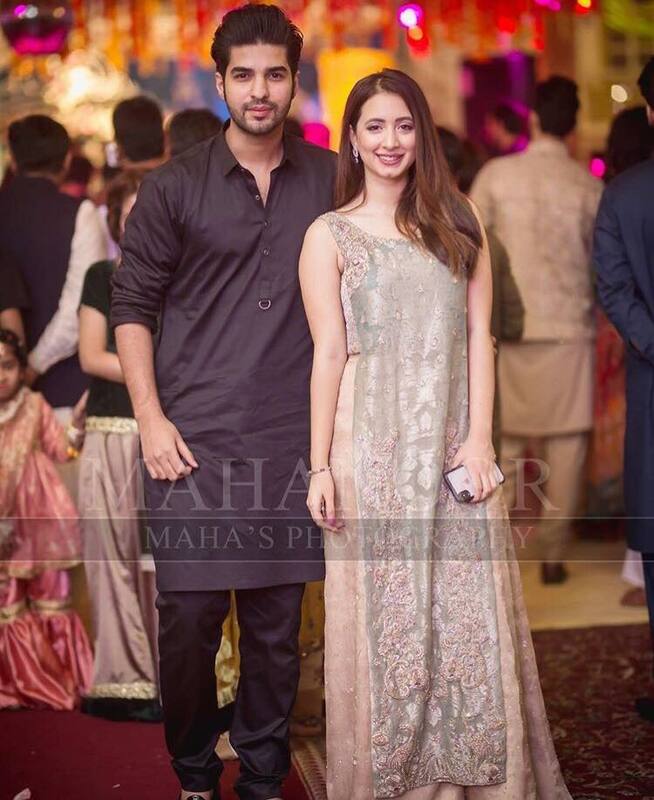 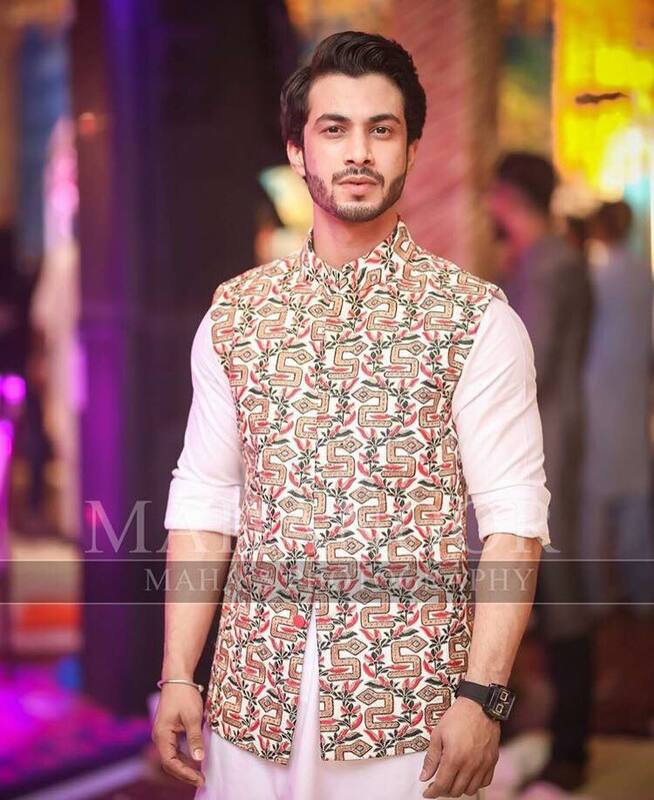 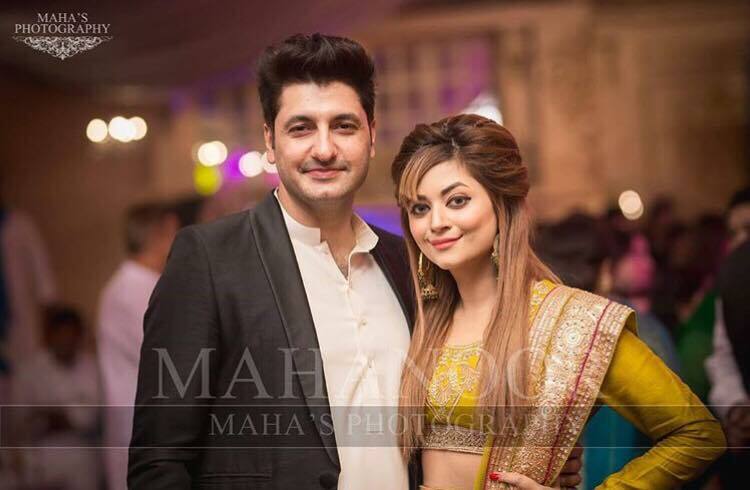 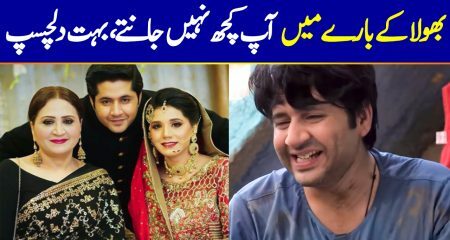 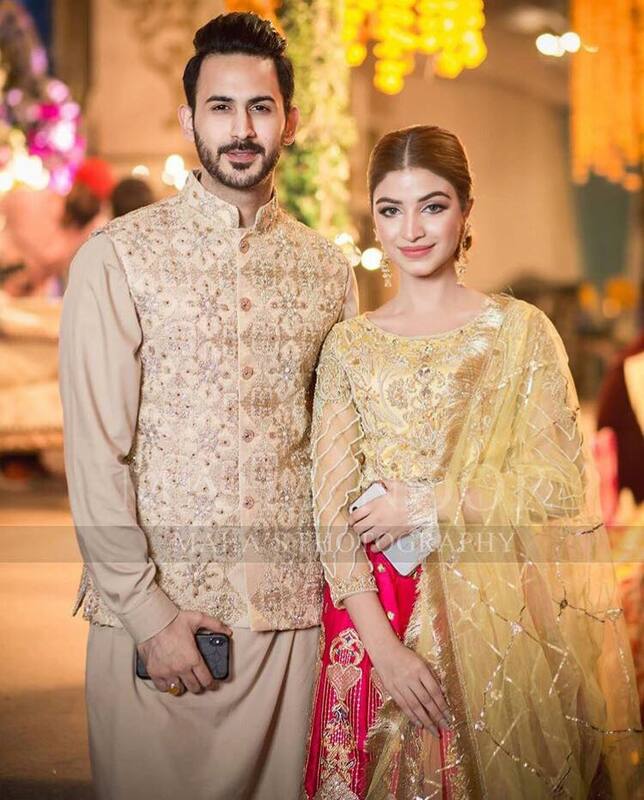 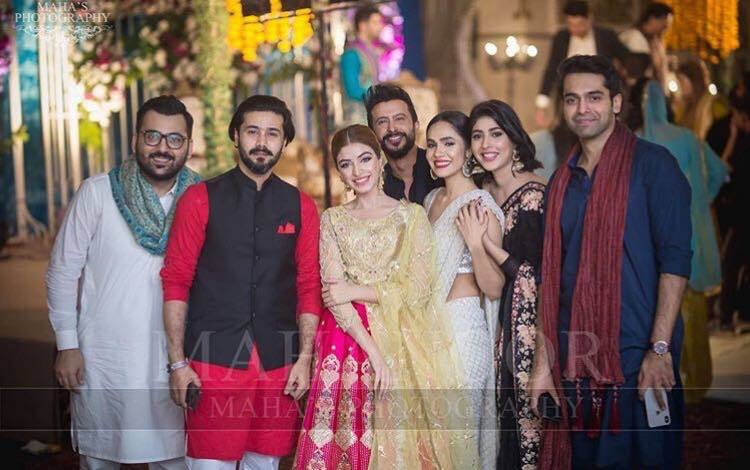 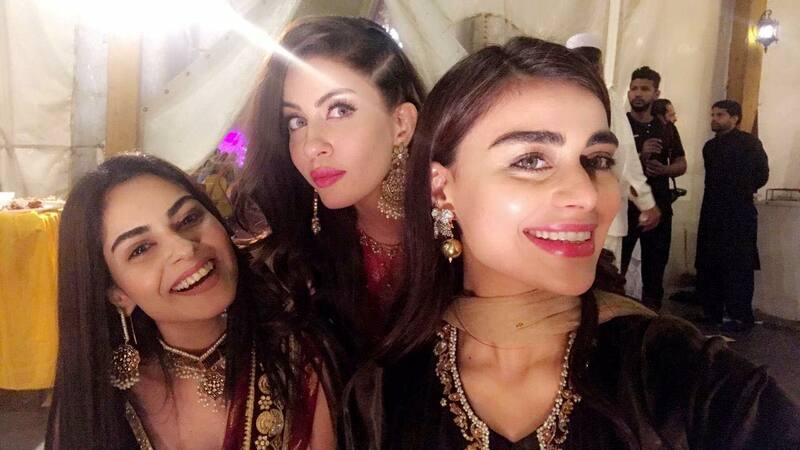 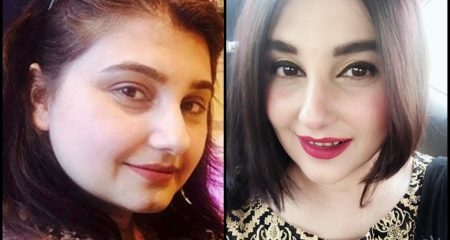 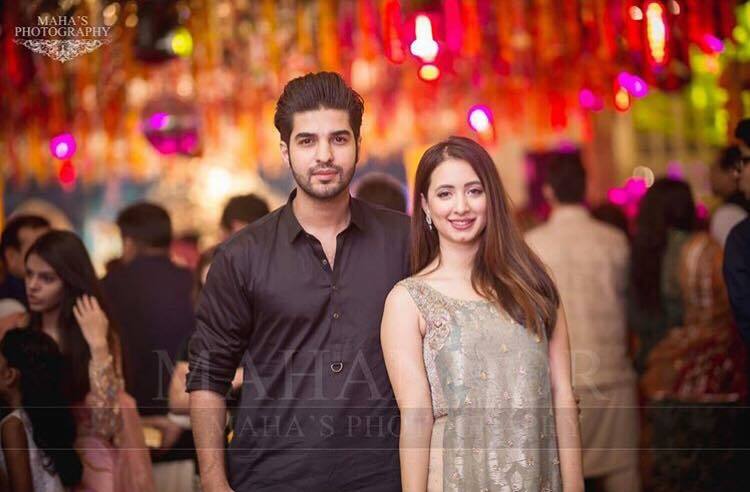 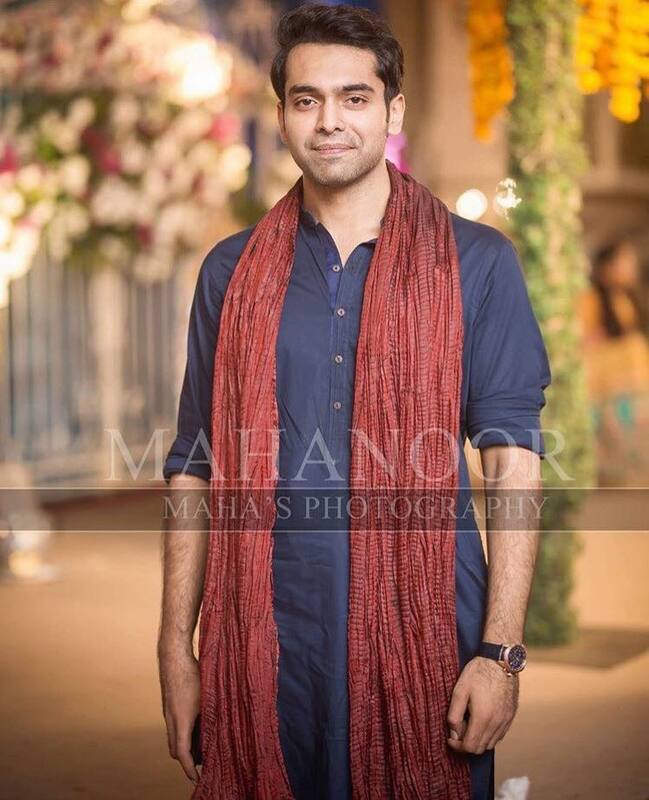 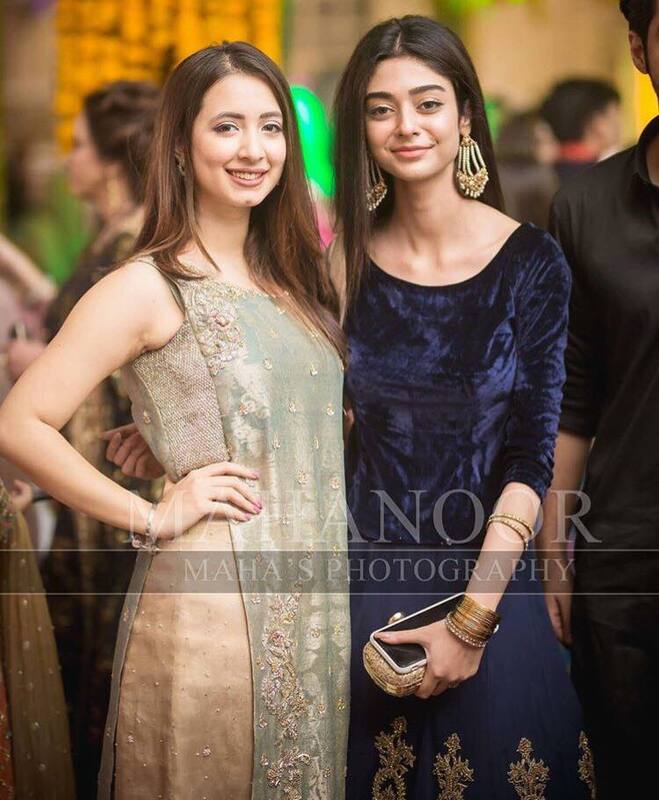 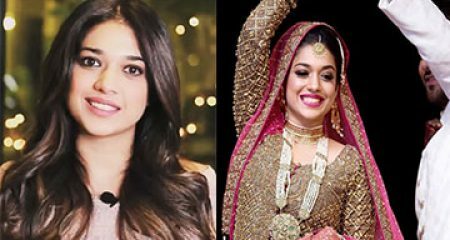 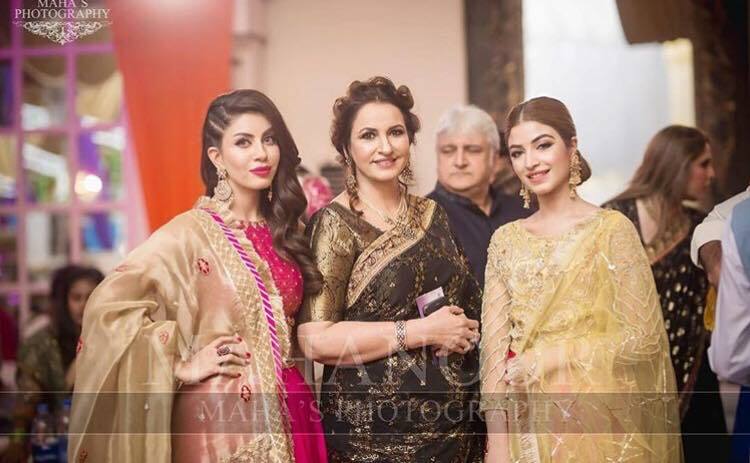 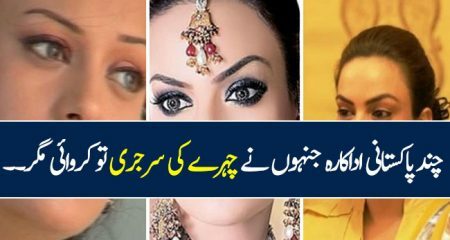 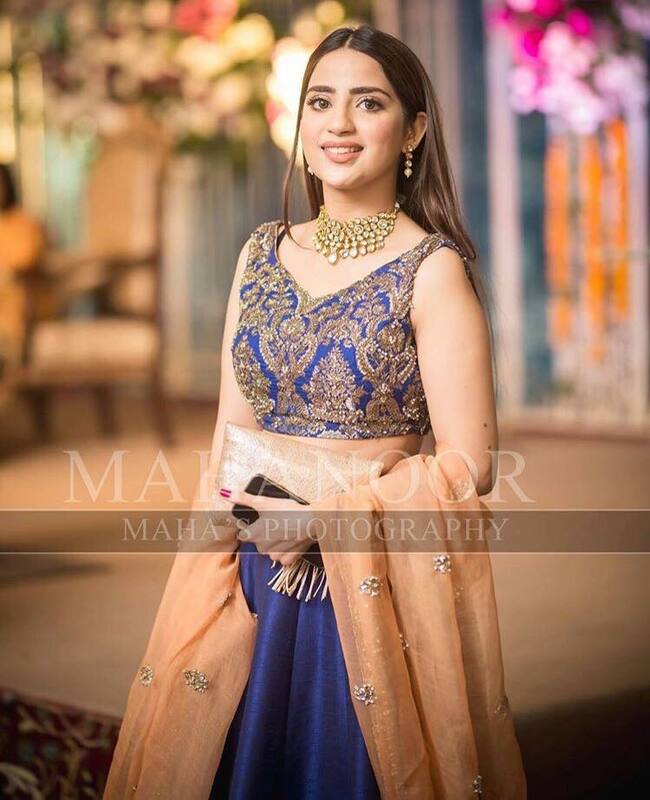 Saboor Aly, Arisha Razi, Sarah Razi, Noor Zafar Khan and many other celebrities attended Aiman Khan’s mehndi. 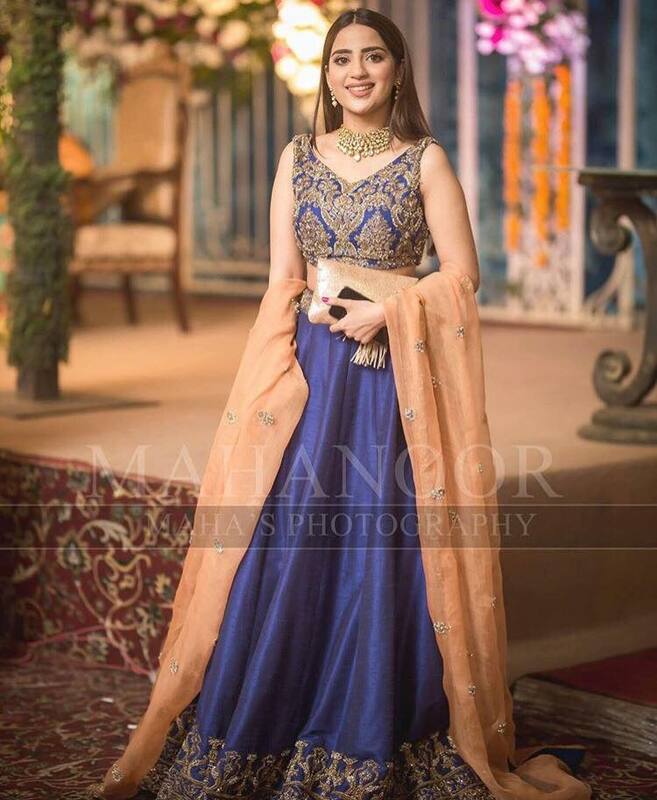 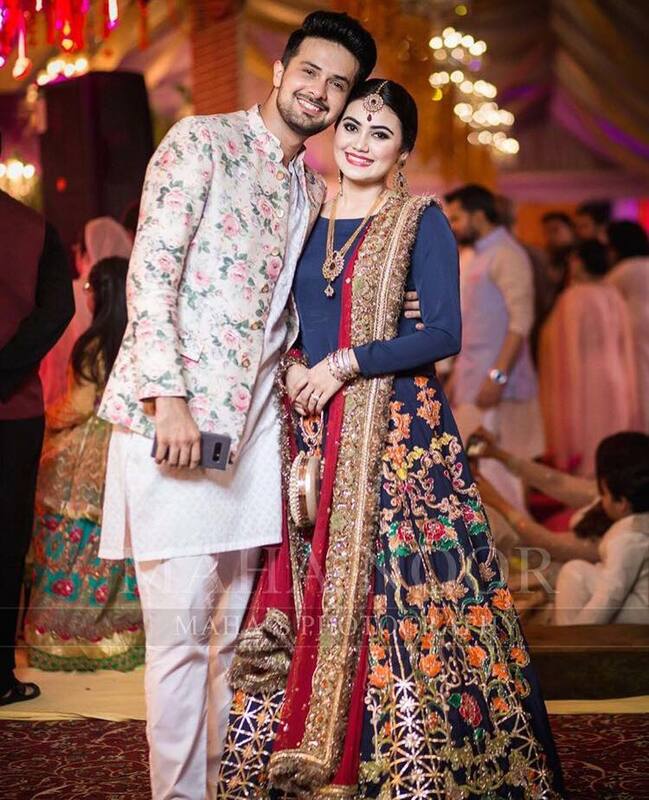 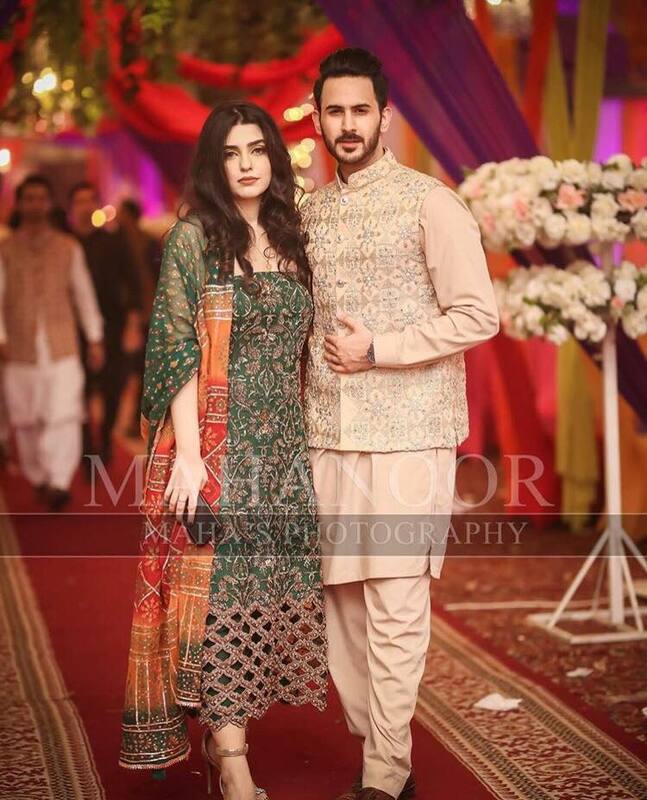 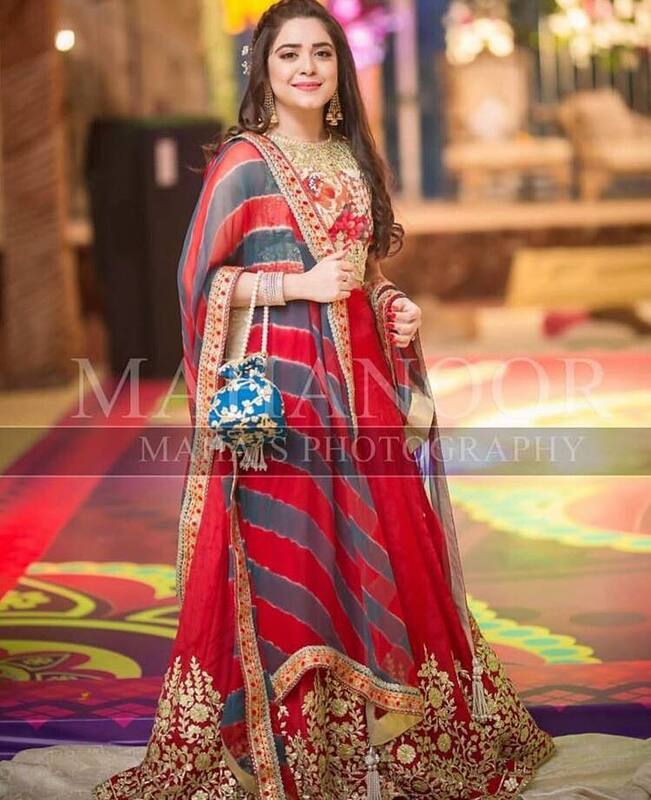 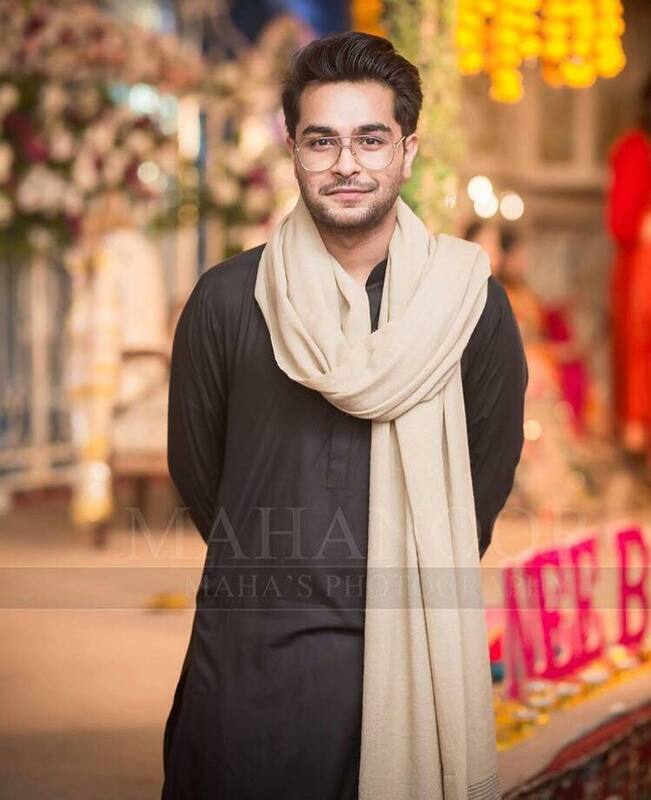 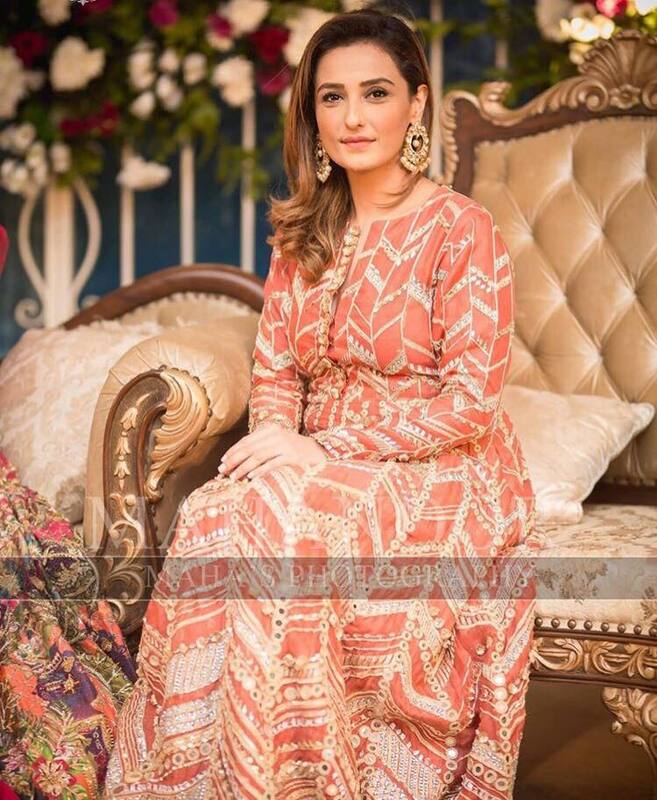 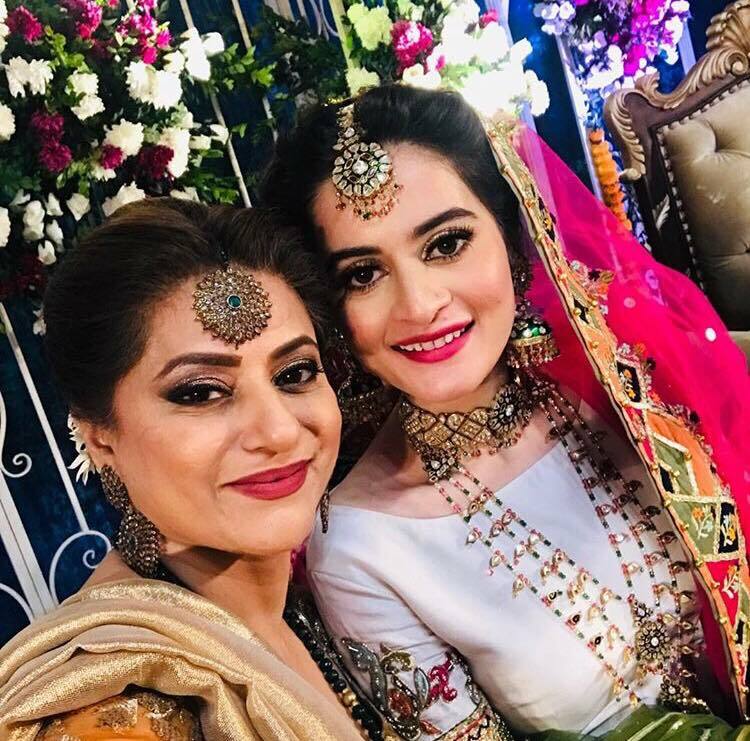 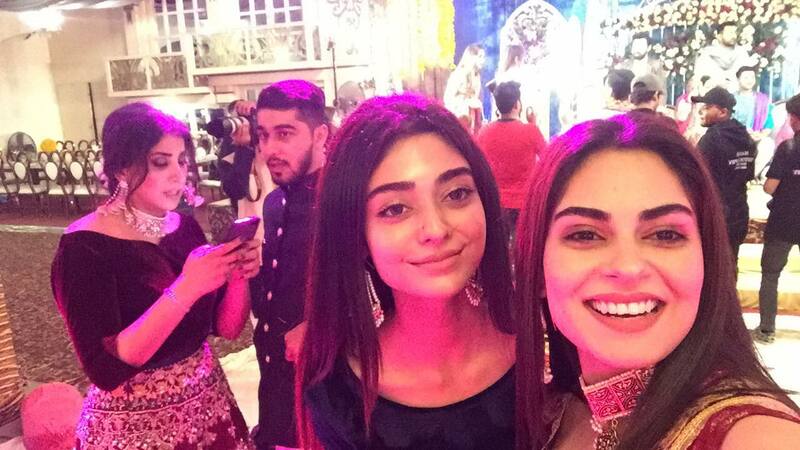 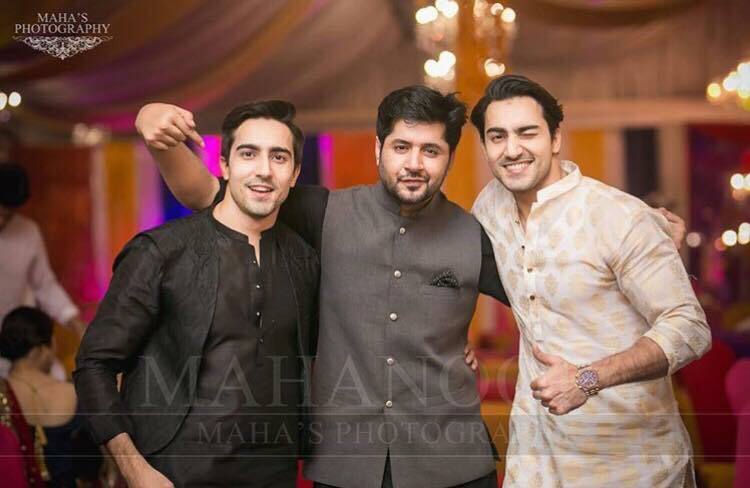 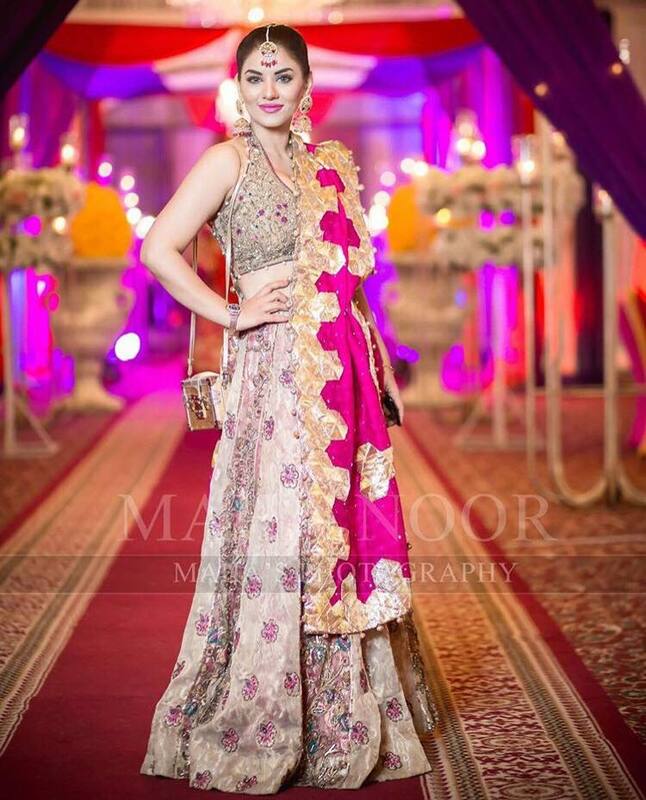 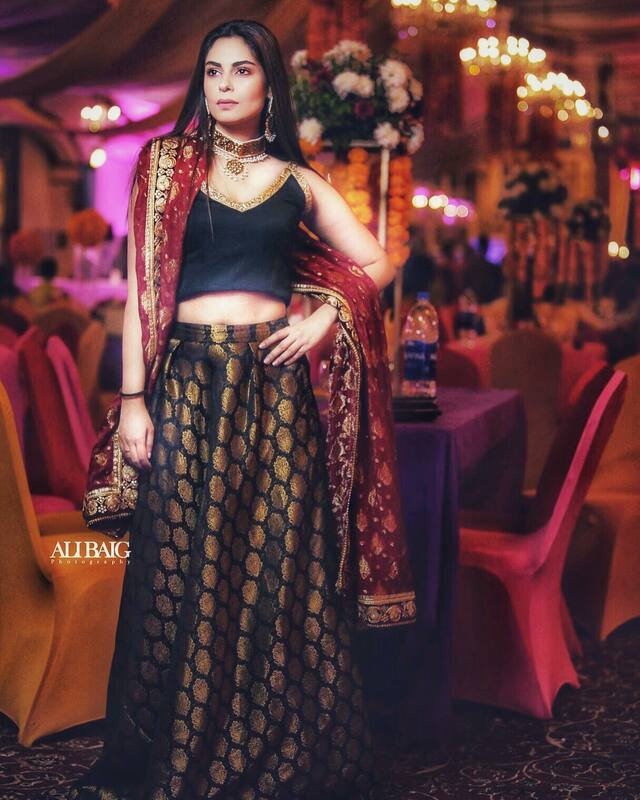 Here are exclusive pictures from Aiman Khan’s mehndi.